Posted by Maggy Parries on Sep 3rd, 2016 and filed under Allgemein, Breaking News, Featured, Real Estate. You can follow any responses to this entry through the RSS 2.0. Both comments and pings are currently closed. Caption: A YouGov survey conducted in partnership with Cityscape Global has shown that real estate is the number one choice for investments by investors and home buyers in the GCC and Egypt. A survey of home buyers and investors across the GCC and Egypt has shown that real estate is the number one preferred investment, underlining the buoyancy of the regional property market. The Real Estate Barometer study, conducted by global market research company YouGov in partnership with Cityscape Global, revealed that more than half of respondents (54%) would choose real estate as their preferred investment category, followed by stocks (13%) and precious metals (11%). The sentiments have been announced as thousands of investors from around the world prepare to descend upon the Middle East’s largest property showcase, Cityscape Global, held at the Dubai World Trade Centre from 6 – 8 September. Now in its 15th edition, the exhibition will host 272 international and regional exhibitors covering 41,000sqm of exhibition space. The YouGov research also indicated that the UAE is one of the most appealing countries in the world in which to invest in real estate, with 65% of respondents citing it as the most attractive option within the Middle East, while 64% believed that Dubai is the prime city in which to buy property in the region. Conducted in partnership with Informa, the organisers of Cityscape Global, the study showed that properties that are built to a high standard of quality as well as those that deliver good value for money are the most important factors considered by respondents before investing in residential real estate. YouGov’s Head of Real Estate Research, Lara Al Barazi commented, “It’s not surprising that the UAE and Dubai top the most attractive places to invest in real estate as the decision to invest in this sector depends foremost on the state of the economy in the market of interest according to 73% of respondents across the region. “That said, what investors and home buyers are telling developers is that the market is missing affordable housing which constitutes by itself potential unmet needs waiting to be fulfilled. Al Barazi, along with other notable speakers such as Rohit Talwar, CEO of Fast Future and Craig Plumb, Head of Research at JLL MENA will deliver exclusive presentations to more than 1,000 delegates on 5 September during the Cityscape Conferences at Conrad, Dubai. Hundreds of real estate developers from around the world will be looking to capitalise on the results, as they prepare to showcase their projects to the thousands of visitors at Cityscape Global. Binghatti Developers will be taking advantage of these opportunities with their two Dubai residential projects, Binghatti Pearls and Binghatti Views which offer high quality apartments at reasonable prices. Muhammad BinGhatti, CEO and Head of Architecture at Binghatti Developers said: “We are confident that we can deliver a high quality aesthetically pleasing product at a reasonable price. We intend on doing this through the continuous improvement of our designs, supply chain, logistics, and contractors. 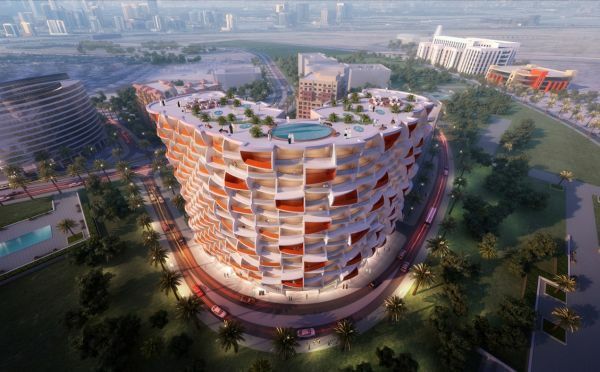 Displaying their Mada Residences project, located in the heart of Downtown Dubai, ARTAR Real Estate Development offers investors good value for money on their units with only a 30% investment required before the project is completed. “End users have become far more astute in the challenging economic times that we face now compared with the boom era of a few years ago,” said ARTAR’s Chief Executive, Sulaiman Abdulrahman Al Rashid. “They have the right to ask why they should effectively pay for homes to be built, which is what has been happening with so many payment plans. “More and more developers in this market realise that has to change so that most of the cost of a home is paid out after completion. The 15th edition of Cityscape Global is supported by the Dubai Land Department and Foundation Partners: Emaar Properties, Dubai Properties and Nakheel; Platinum Sponsors: Al Marjan Island and Union Properties; Silver Sponsor: DAMAC Properties; Conference Platinum Sponsors: MBT LLC & MetalboxTechnology FZE; Conference Silver Sponsors: Kohler Co and Yardi; Registration Trustee Partner: Tamleek, Project Marketing Sponsor: AquaProperties, and Research Partner YouGov.